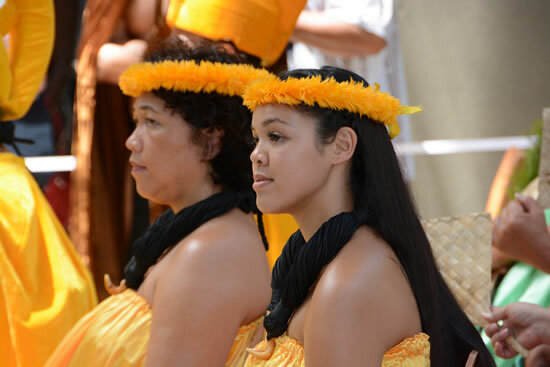 To kick off the festivities, the Aloha Festivals Royal Court will be introduced on the grounds of Helumoa, which was originally the home of Princess Bernice Pauahi Bishop. At the ceremony, the king, queen, prince and princess take their place on the royal court. 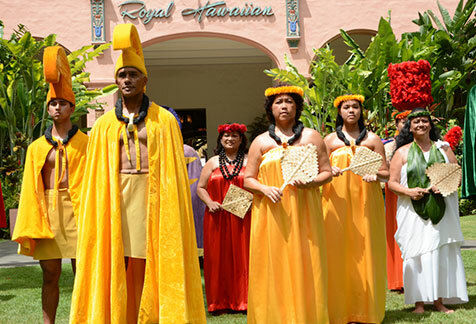 The Alii court members receive their royal cloaks, helmets, head feather lei and other symbols of their reign. 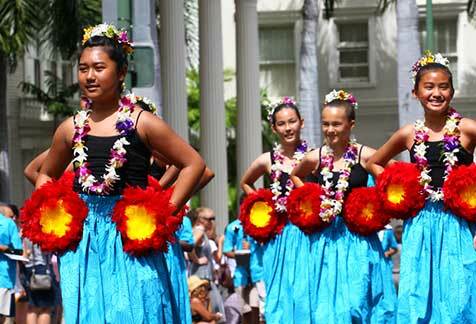 Traditional hula and chants make this a special event in the heart of Waikiki. The Annual Waikiki Hoolaulea is Hawaii’s largest block party. Thousands of people will take to the streets along Kalakaua Avenue for food, fun and entertainment. There will be performances by the various genres of Hawaiian music and hula halau (hula schools). 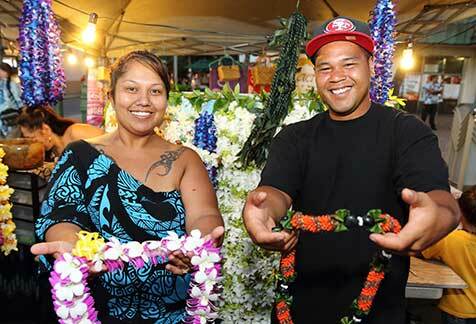 Hawaiian crafts and flower leis and many varieties of island cuisine will be featured throughout the event.